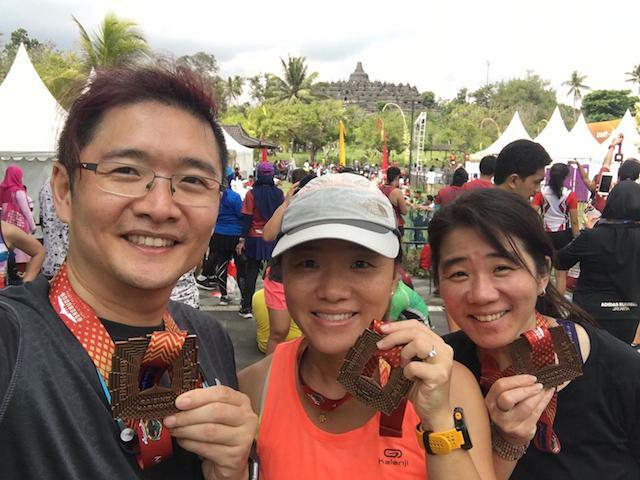 Borobudur Marathon is an IAAF and AIMS certified course and truly an exceptional cultural race experience for runners all over the world. 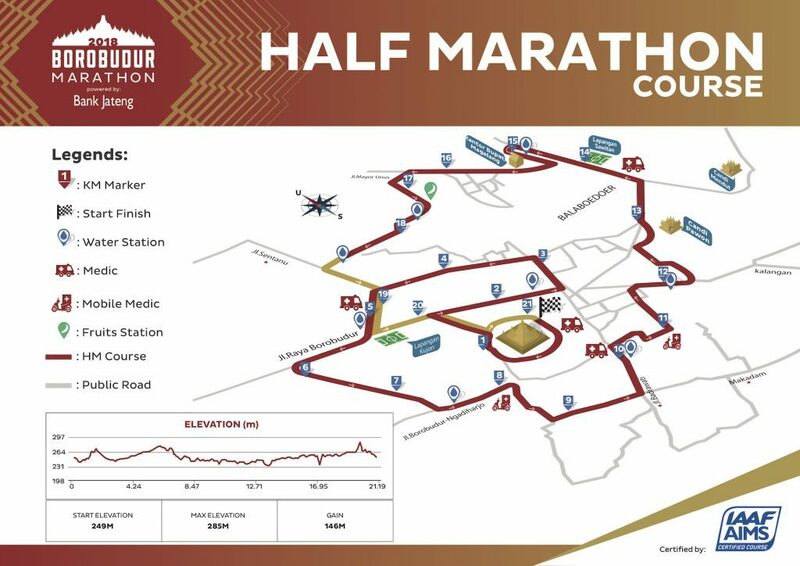 There were the full marathon, half marathon, and 10KM categories available to suit individual runners. I signed up for the half marathon category. Borobudur temple is one of the greatest and largest Buddhist monuments in the world. It is a 9th-century Mahayana Buddhist temple situated in Magelang, Central Java, Indonesia. It is also a UNESCO World Heritage Site. I have been to Borobudur temple 2 years ago and I really love the place. The magnificent structure of this temple is breath-taking. 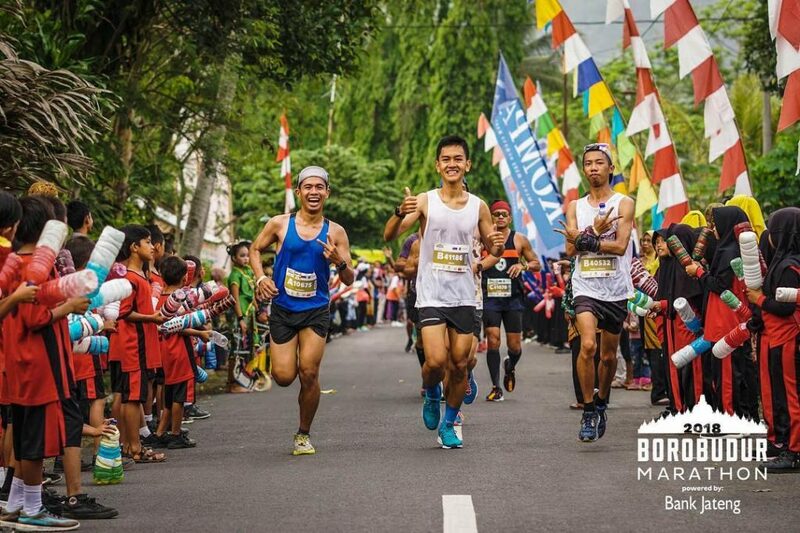 The moment I came to know about Borobudur Marathon, I knew that I want to run it. 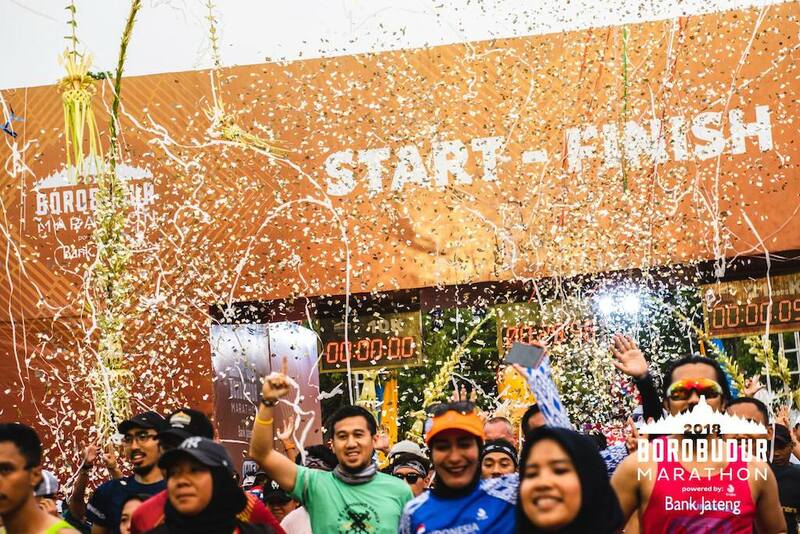 So I asked my sister and brother, who are also runners if they want to go together for this event and they said yes. 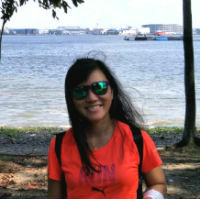 So we planned everything and travelled together. 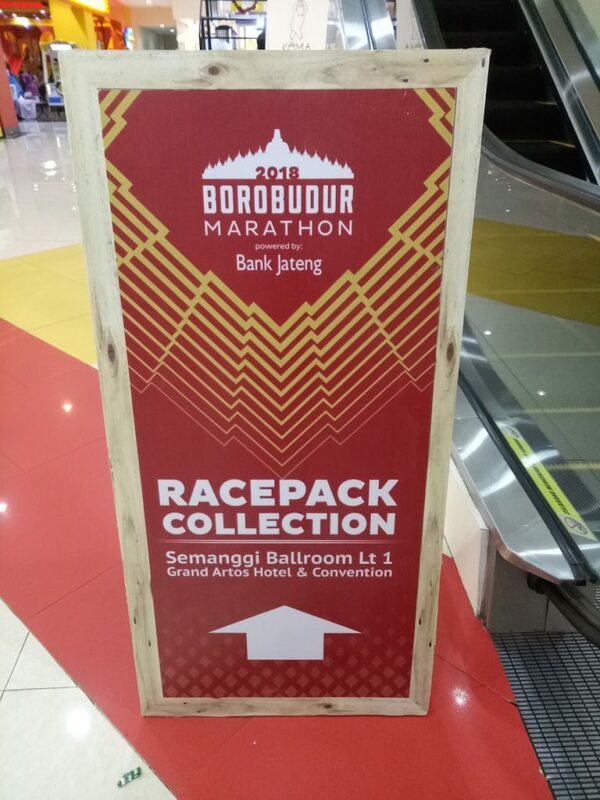 We booked our hotel at Atria Hotel Magelang, which is just a 10-minute walk to Artos Mall, the race pack collection venue. 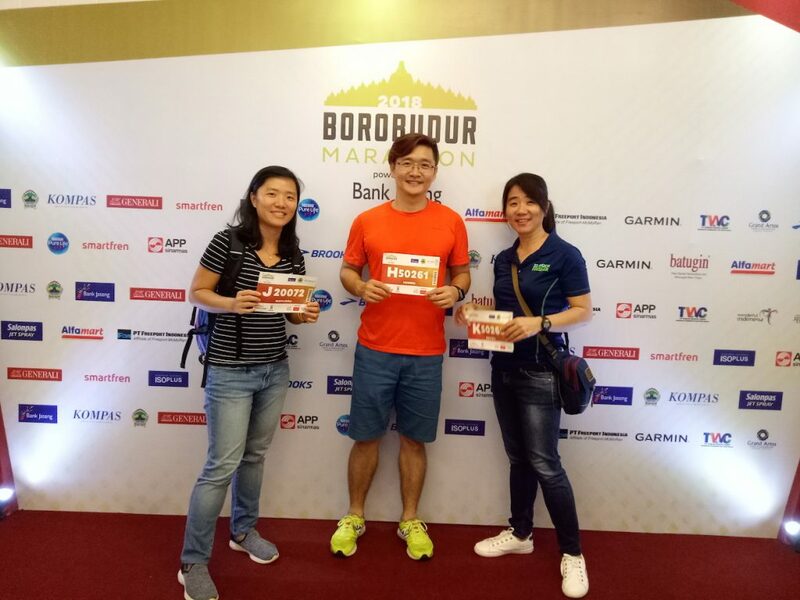 We also bought the shuttle bus ticket which would pick up runners at Artos Mall on race day morning. We set off on Saturday morning, reached Yogyakarta slightly before noon. We have previously booked a car for self-driving, so upon picking up the car at the airport, we drove straight to Artos Mall to collect our race packs. The race pack collection was fast and efficient, we collected our race packs in less than 5 minutes. 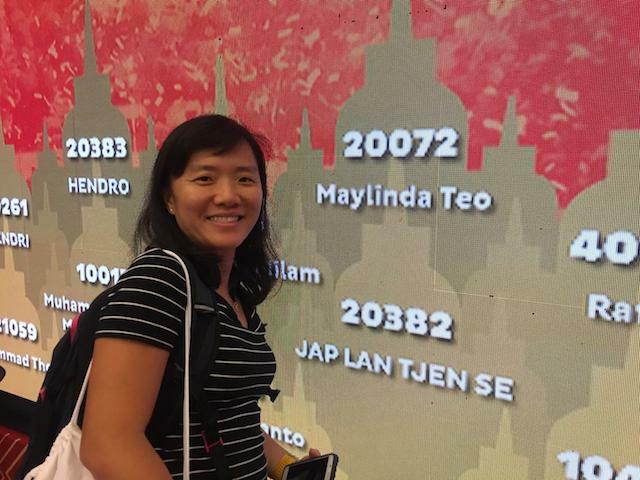 Runners’ names would be flashed on the big screen for a few minutes once race packs had been collected. This brought some excitement and everyone was busy taking photos with his or her names before the names disappeared. There were also some booths selling official merchandise and other stuff. They also provide free 3D photos which I thought was rather fascinating. 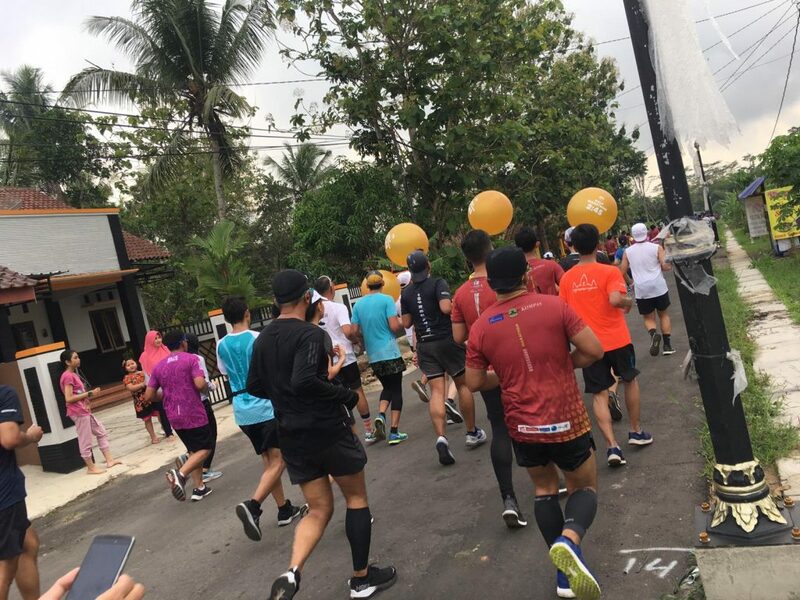 After race pack collection, we proceeded to check-in into our hotel and headed out for late lunch at a nearby warung (a small eating place). 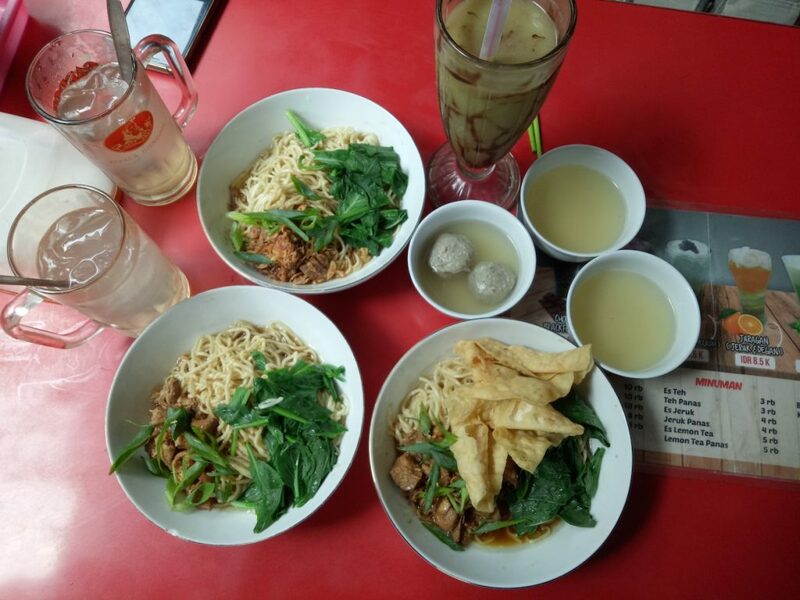 The mie ayam (chicken noodle) was delicious and very affordable. We spent less than S$6.00 for 3 bowls of noodles and 3 drinks. 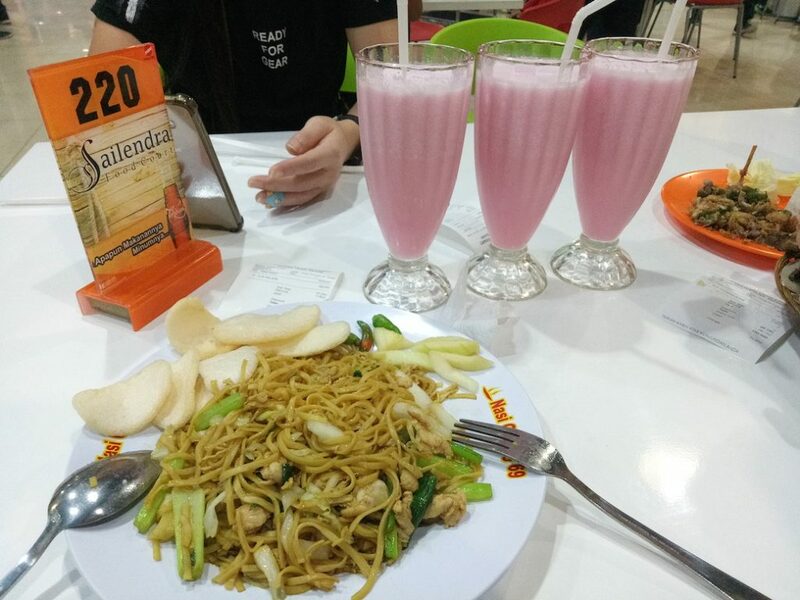 In the evening, we went shopping at Artos Mall and had dinner at the food court. The food was slightly more expensive compared to the warung but also delicious. On Sunday morning, we walked to take the shuttle bus and reached there at around 2.35 A.M. We boarded the first bus and the bus left at around 2:50 A.M. We were quite surprised that the bus left early as it was supposed to leave at 3.00 A.M. But there were still many buses waiting there, so runners who arrived later would still be able to board the bus. The race village was very big and spacious. There was a stage, massage tent, food and beverages tent, photo-taking tents, praying tent (Mushola), and the rest of the tents from the sponsors and media. At 5.00 A.M sharp, full marathon runners were flagged off, followed by half marathon runners at 5.30 A.M. The flag off was remarkably on time, without any delay. 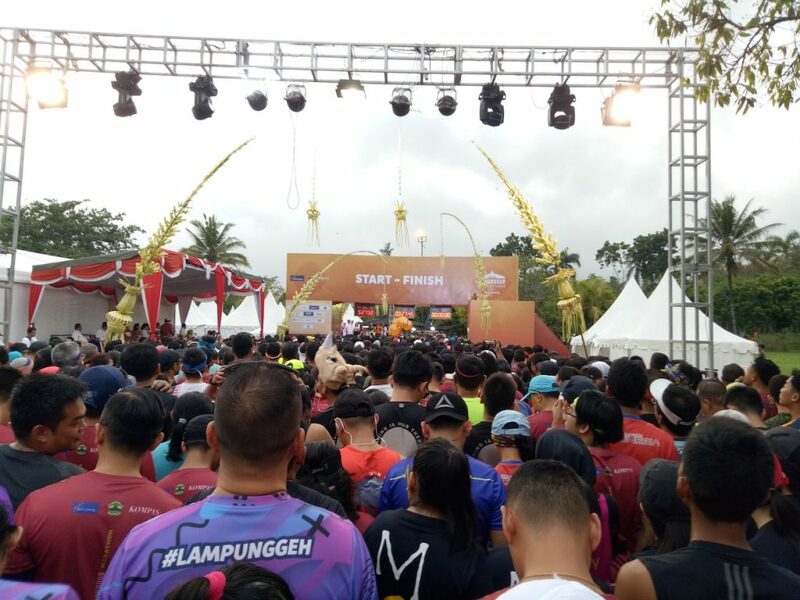 Why I have said that this was a truly exceptional race experience was because the local people, traditional dancers, drummers, school children all cheered loudly for the runners along the route. Many children extended their small hands for high fives and of course, they received lots of support from runners. They looked very adorable and they were all very upbeat, even held up signboards to cheer runners not to give up. The entire street was full of supporters and entertainments and hardly any dull moments. 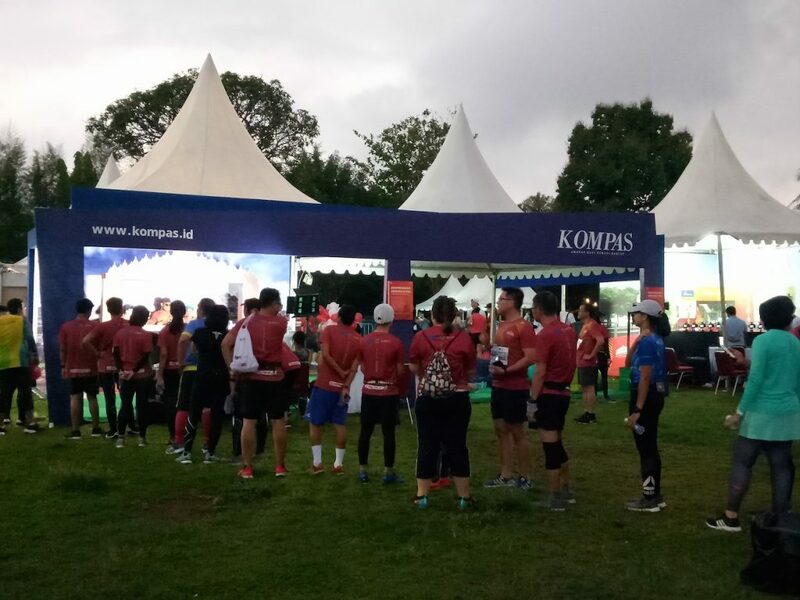 There was quite an extensive number of running clubs from all over Indonesia taking part in this event. They were wearing their respective club t-shirts (some with fun texts) and were very prominent. Such people bring motivation to the entire running community and I appreciate them. Distance markers were accurate and there were many road marshals directing the way and police stopping the vehicles. We, runners, felt like we were the kings of the road and the whole village stopped, made way and cheered for us. However, I felt sorry for the vehicles and wondered how long they had to wait in the long line. 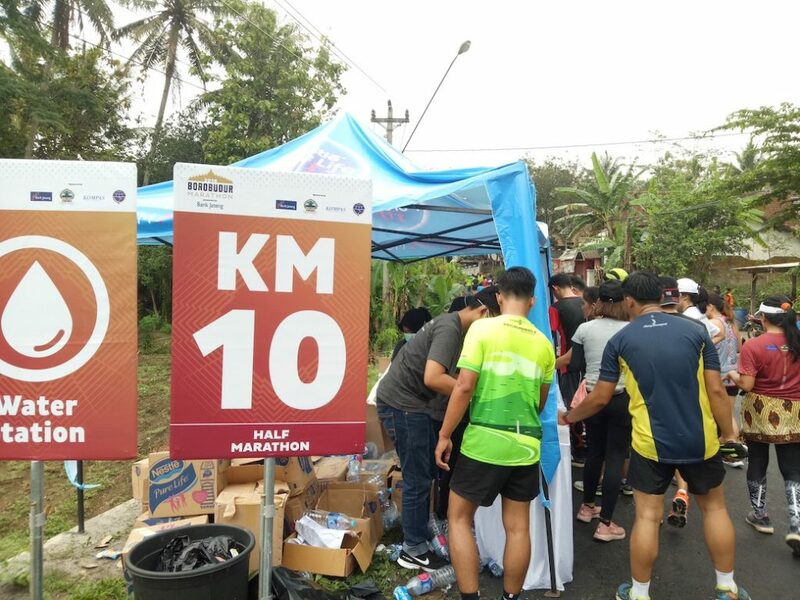 Water stations were plenty with more than enough water and isotonic drinks. 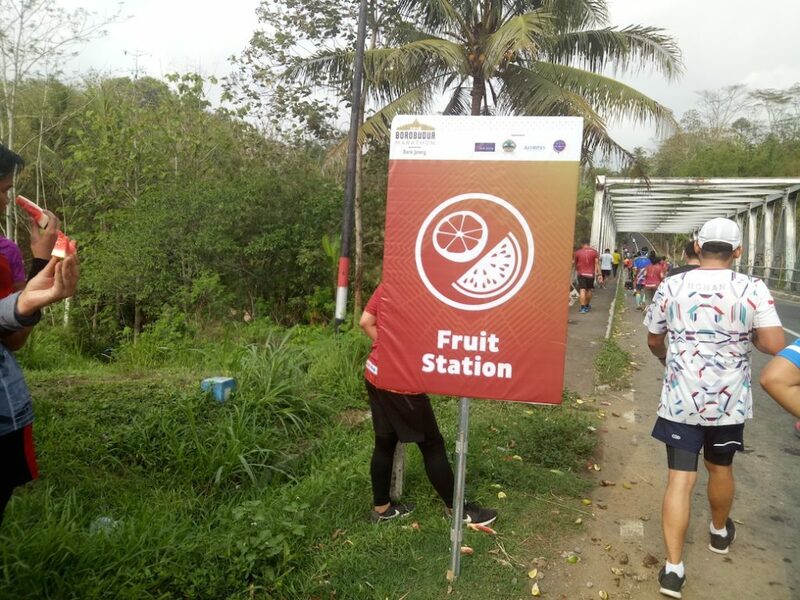 There was watermelon in the early part of the race and another fruit station serving oranges and watermelon in between the 17 KM and 18 KM markers. Wet sponges were available too. The road was relatively flat with occasional slopes so it was pretty easy to run. Elevation gain was less than 200 meters. After I crossed the finish line, I collected the beautiful medal, a banana, a bottle of mineral water and isotonic drink. I went to find a place to rest and stretch. We took some photos before getting a cab back to the hotel. There was actually shuttle bus available for the return trip, but the set off time was quite late and we did not want to wait. 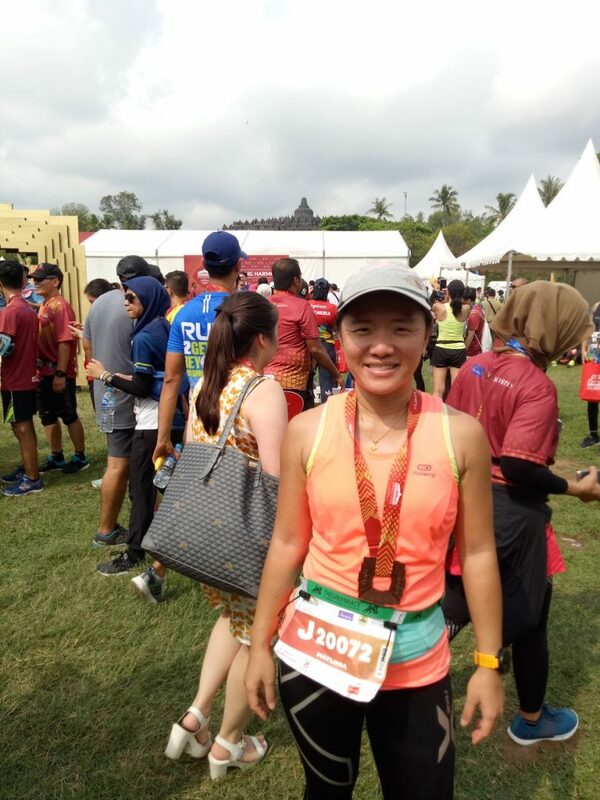 This was a beautiful race in a beautiful place surrounding this phenomenal historical Borobudur temple. I am happy and grateful that I was part of it this year and will not hesitate to participate again in the future. It was very well organised without any flaws. Local people are friendly and polite. Runners who’d like to attempt this one of a kind race experience, I recommend that you take part in their future editions and be amazed! 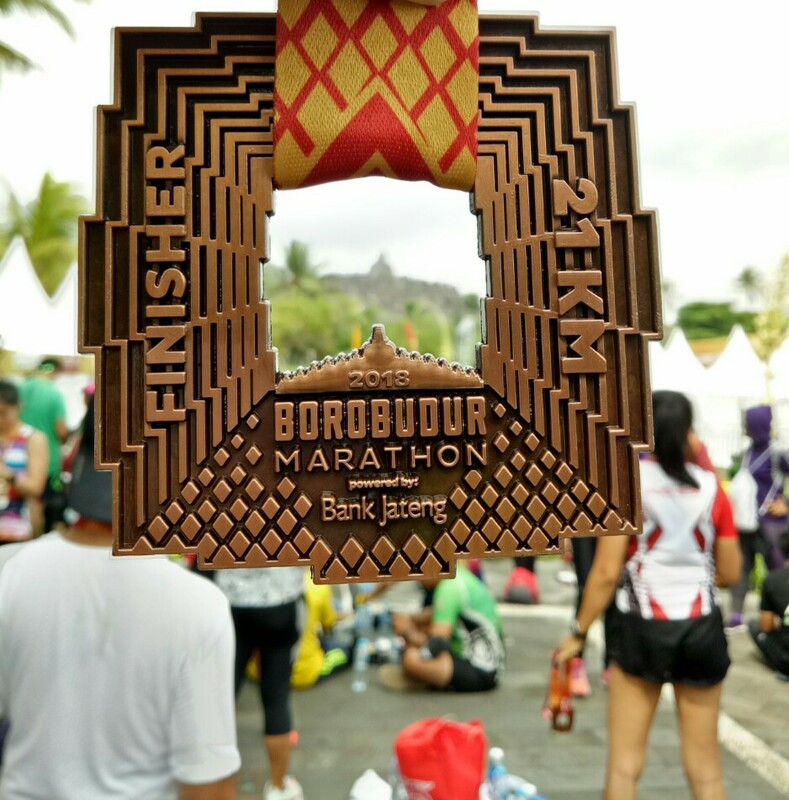 The stunning medal that resembles Borobudur temple structure. It is heavy and quality is first-class. Sounds like a very well organised and beautiful race! I am tempted now! Thanks for the review! Nice run and well done !